Home Base was created to meet the personal computing support needs of university faculty, staff, and students. Home Base Computer Repair Services provides basic support services for free, such as virus and malware scanning and basic troubleshooting. We also offer more advanced support for your personal computing needs, such as data backups, operating system reinstalls and upgrades, and hardware repairs. You'll find that prices for these support offerings are much lower than going off campus. As we say, "We're cheaper than those other geeks!" 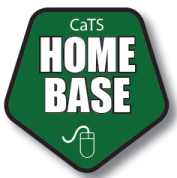 CaTS Home Base offers a wide variety of services to students, faculty, and staff to support their personal computing and networking needs. Faculty and staff: here's what to expect from our services. Home Base offers a free system evaluation service. We can check out your system, test it for viruses, malware and spyware, troubleshoot and more. Security and Performance Check (advanced virus and spyware removal): Free! Purchase a hard drive or USB 3.0 flash drive from us. 1 TB laptop hard drive: $75; 16 GB USB 3.0 flash drive: $10. *All chargeable services payable ONLY with Raider Cash on Wright1 Card. Services are limited to personal computers running Windows and Mac operating systems. The person that drops off the computer is the only one that can pick it up and that person must be a current WSU faculty, staff, or student. You should provide the computer charger at drop off. No cases or bags will be accepted. You must have a photo ID to pick up your computer. Student computers will have priority. The only valid payment for Home Base services is Raider Cash on your Wright1 card (does not include software purchases). We require the administrator password to your computer in order to run diagnostics. We will never do anything to your computer we have to charge you for without your authorization. Home Base won’t be able to repair everything. There will be times where we won’t have the tools to do a repair and will refer you to an external service. Turnaround time will vary upon workload but typically takes 24 hours or more depending on the circumstances. You are welcome to contact Home Base for updates. Any updates we will give you will come to your email and the phone number you provided at drop off. When the work is finished, you will be called and emailed at your Wright State email address. You can pick up your computer any time during normal Help Desk hours.